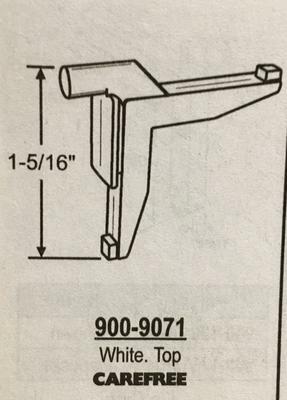 swivel keys for a window in a garage exterior entry door? Surely they are available somewhere! 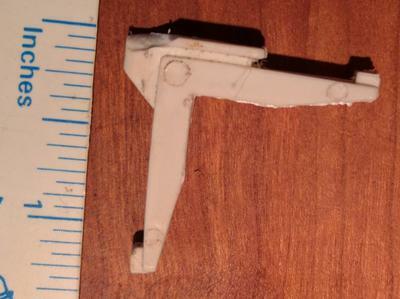 I have a single-hung window for which I need to buy replacement swivel keys. Both swivel keys that I have are missing the tab that runs in the window track holding the window in place - so you won't see that tab in the photos. 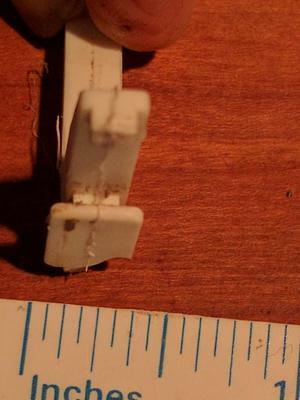 Both the lengths appear to be 1 1/4" with a small protrusion at each end (though I think a replacement piece would work fine w/o the protrusion as one of the vinyl pieces now has been missing that protrusion for a while and it seems to hold the window together w/o an issue). 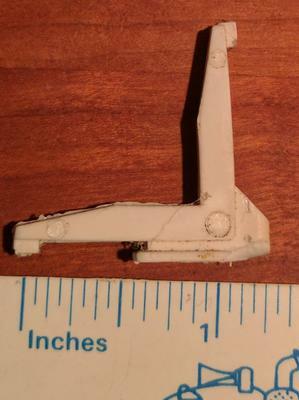 The width of the piece at the widest part appears to be 1/4" and 1875" for the narrowest part that is inserted into the window casing.I don't have a tab to take a picture of. Thank you for any advice you can render. I took the window into Lowe's and they told me that I need a new door.